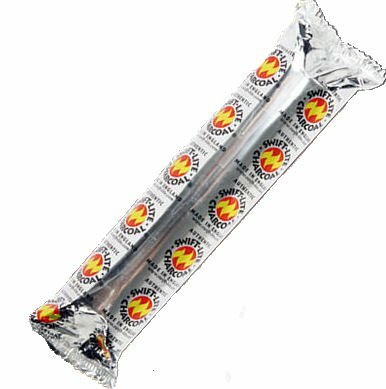 1 Roll of 10 Charcoal 33mm tablets for Incense (Bakhoor/Oudh) burning. Al-Rashad carries inshallah genuine Swift-Lite charcoals. Please use these charcoals to only burn incense—smoking shisha/hukkah etc. is harmful to your health and is markooh (discouraged) or haram (forbidden) in Islam. 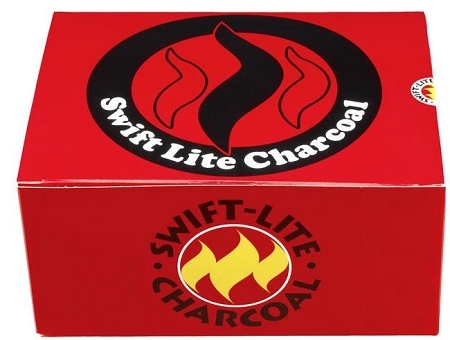 Beware of counterfeits— Genuine Swift-Lite is smokeless—inhaling smoke from counterfeit and low quality charcoal can be harmful to your health. CONTENTS: This box contains 10 (ten) Swift-Lite Charcoal tablets for incense burning. The tablets are packed in rolls of 10 and are sealed in an airtight pack in order to maintain efficient combustion. In order to maintain freshness open, open rolls should be re-sealed and returned to the box which should be kept closed and stored in a cool dry place. Effective storage will ensure quick lighting and long burning.